The Danish designed Inspire family has a new member! The Inspire 55H. It has all the same beautiful modern design and high level of preformance as the Inspire 40 and 45 have. ​ The Inspire 55H’s heat output is 6.3 kw (4.5kw - 10kw). 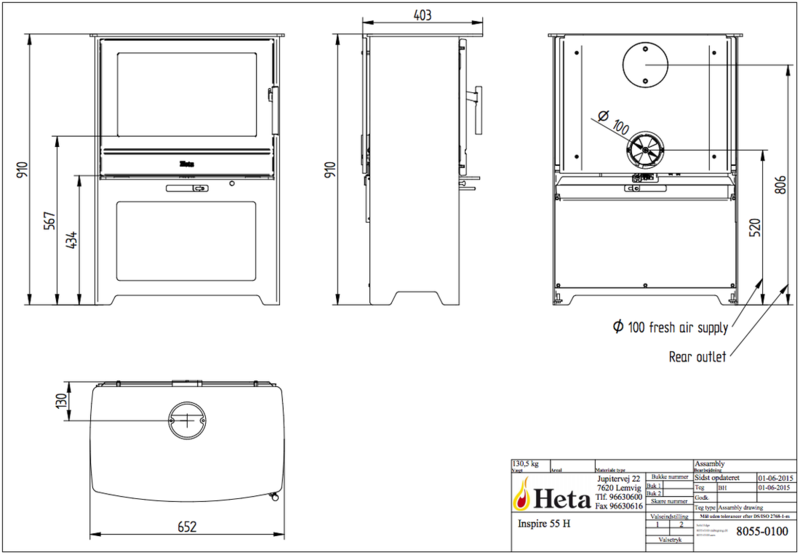 It has a large viewing window and a Heta branded door. The Inspires are the perfect choice where top quality, great looking and super efficient stoves are required for your home. 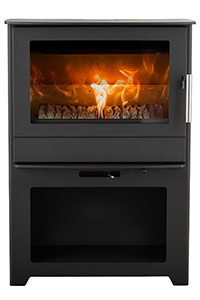 The Inspire 55H offers a remarkable 80% efficiency and is designed to burn wood or smokeless fuel and provides a beautiful view of the fire burning impressively through the wide cast iron door.